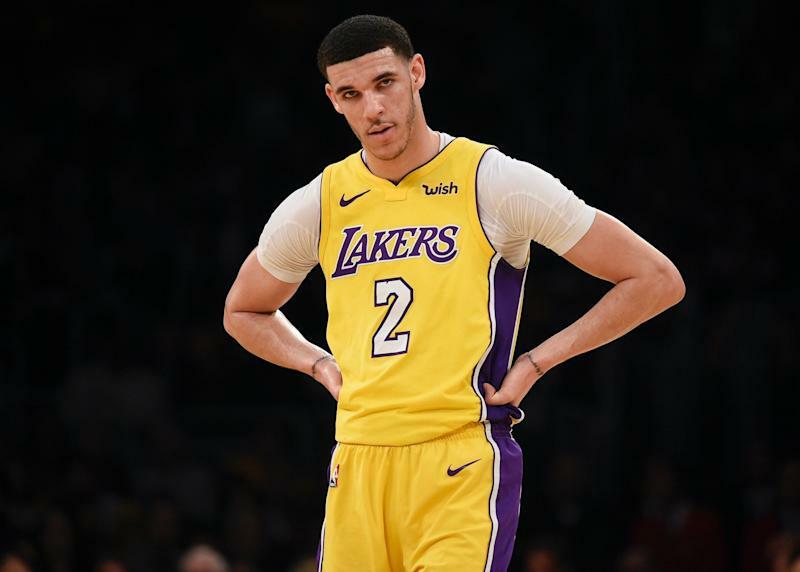 Los Angeles Lakers guard Lonzo Ball has cut ties with Big Baller Brand co-founder Alan Foster over $1.5 million in unaccounted for money from Ball's personal and business accounts, ESPN reports. The report goes into detail about Foster’s role in establishing the apparel brand, his criminal history that includes a seven-year prison sentence for mail fraud and money laundering and Ball’s decision to part ways with Foster independently of his father LaVar Ball. Lonzo Ball told ESPN that Foster “used his access to my business and personal finances to enrich himself. As a result, I have decided to sever all ties with Alan, effective immediately." 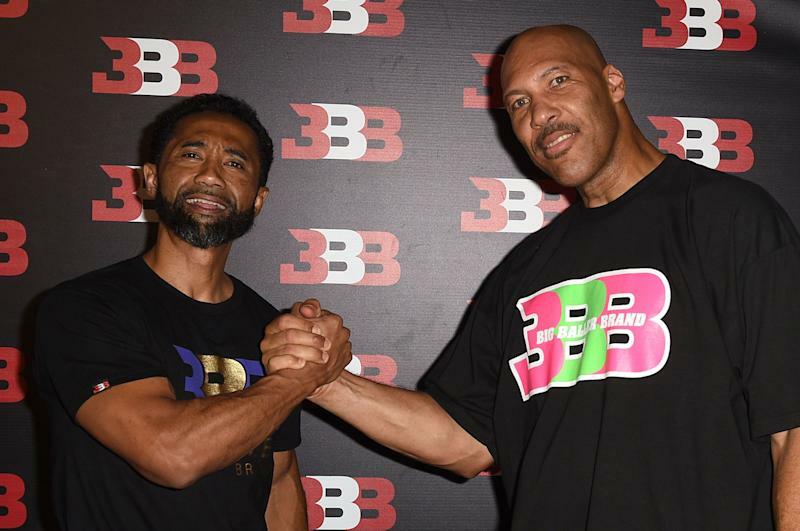 LaVar Ball has credited Foster with inspiring him to create Big Baller Brand, the family’s apparel and shoe company that has led Lonzo Ball to eschew overtures from traditional shoe companies like Nike and Adidas. The relationship was built when Lonzo Ball became friends with Foster’s son as a seventh-grader, according to the report. Foster owned 16.3 percent of the company, while Lonzo Ball owns 51 percent, ESPN reports. LaVar Ball owns 16.4 percent and Lonzo’s mother Tina Ball owns 16.3 percent. Lonzo Ball’s financial adviser Humble Lukanga raised concerns in October about not being able to complete Big Baller Brand’s taxes due to $1.5 million in unaccounted for money, according to the report. The subject line of the email from Lukanga flagging the alleged missing money read: "Urgent - $1.5 million Dollars Missing," according to ESPN. The email noted that Foster “won't show any invoices or documentation of these expenses” in reference to the allegedly unaccounted for money. Lukanga resigned in November over the discrepancy, but has recently rejoined the company after being rehired by Lonzo Ball, according to the report. LaVar Ball eventually addressed Lukanga’s concerns last week, according to the report, and issued a statement to ESPN for its story. "I've always believed in the best in people,” the statement reads. “Regretfully, I put my complete trust in Alan Foster to manage my son's business affairs. At the end of the day, family comes first, and I support Zo wholeheartedly. Together, we will make this right." Foster agreed to meet ESPN to discuss the story, but has failed to respond to the network’s request to follow up on that agreement, according to the report. The report notes that Foster has a felony past that led to a seven-year prison sentence in 2002 and a legal order that he pay $3.4 million in restitution after a scheme that defrauded 70 investors of $4 million. He pleaded guilty to one count of mail fraud and two counts of money laundering, according to court records obtained by ESPN. Foster was also cited in 1999 for carrying a concealed handgun without a license and arrested on an unspecified felony-level violation of his probation for the financial fraud scheme in 2009, according to the report. The prosecutor in the financial fraud case told ESPN that Foster targeted black families. "They targeted African-Americans that they got to know through churches and by other means,” Joseph Zwicker said. “And they made various misrepresentations to them about their ability to return large sums on investments, which were false. They admitted that." ESPN reached out to the Lakers, who declined comment on the story.